Its history ranging back to the early days of America, JPMorgan Chase, or simply Chase, is one of the country’s oldest banks. It’s also one of the largest, issuing more consumer credit cards than any other bank in the US and serving millions of customers from its more than 5,100 branches. With a current stable of 22 personal, business, and co-branded credit cards, Chase definitely has something for nearly everyone, but one of its most lauded offerings is the Chase Sapphire Preferred® Card . Complete with its popular Ultimate Rewards program and a variety of other perks and benefits, the Chase Sapphire Preferred® Card is a top-rated travel card great for any savvy shopper. Although the Chase Sapphire Preferred® Card isn’t quite as exclusive as its big sibling, the Chase Sapphire Reserve®, it still requires at least good credit to be approved. That said, Credit Karma user data suggests that you don’t need to have perfect credit (although it will certainly help). The majority of cardholders who provided data had scores above 700 and an average score around 741. More than a specific credit score, however, Chase will be looking at your overall creditworthiness to see the credit limit for which you qualify. Specifically, as a Visa Signature card, the Chase Sapphire Preferred® Card actually requires that those who are approved for the card receive a minimum credit limit of $5,000. This means that if you can’t qualify for at least that amount, you can’t qualify for the card. Overall, the majority of Credit Karma reviewers actually reported a credit limit over the $5,000 minimum. 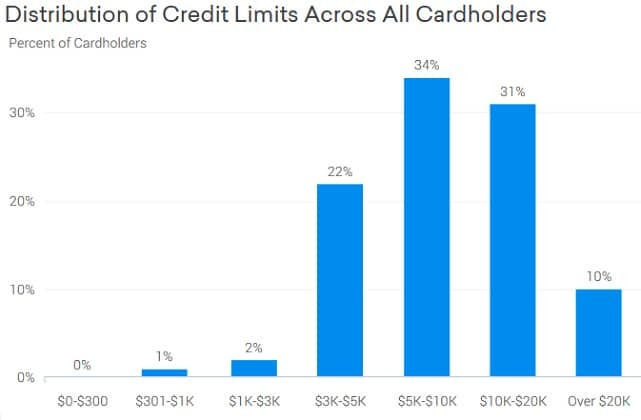 Only 22% of reviewers fell into the $3,000 to $5,000 range of the graph, while nearly a third of respondents reported receiving a credit limit of $10,000 or above. And as further proof of the fact that the Chase Sapphire Preferred® Card isn’t an entry-level model is the fact that a full 10% of users obtained a credit limit over $20,000. Compared to the reported credit limits of the Chase Freedom®, one of the bank’s starter credit cards, the Chase Sapphire Preferred® Card has ten times as many high-limit cardholders. Credit Karma user data indicates the average Chase Sapphire Preferred® Card cardholder has a limit around $10,000. So far as increasing your initial limit is concerned, little anecdotal information is available specific to the Chase Sapphire Preferred® Card . Looking at reviews for other Chase cards, data suggests that users may have success directly requesting a credit limit increase from Chase, although this will result in a hard credit pull. Other users report receiving unsolicited limit increases after six months or more of responsible card use. Perhaps the most significant benefit of the Chase Sapphire Preferred® Card is the rewards program that comes with it, which is based on the popular Ultimate Rewards points and portal. The Chase Ultimate Rewards program is widely considered to be one of the most flexible rewards programs, with redemption options that include cash back, gift cards, merchandise, and travel. In particular, it’s the latter redemption option, travel, that gains the Ultimate Rewards program much of its acclaim. Not only does redeeming your Ultimate Rewards points for travel through Chase’s portal gain you significant value — up to 1.25 cents per point with the 25% discount for travel redemption — but you can often get even more pow for your point by transferring them to any of Chase’s 10 travel partners. In most cases, points transfer at a 1:1 ratio, meaning you’ll receive one partner point for every Ultimate Rewards point you transfer. For example, if you transfer 50,000 Chase Ultimate Rewards points to your Marriott Rewards account, you’ll end up with 50,000 Marriott Rewards points. Of course, not every travel partner will provide the same 1.25 cent per dollar return that you would receive by simply redeeming with Chase, so do your homework to ensure you get the most out of your rewards. Earning Ultimate Rewards points is remarkably easy with your Chase Sapphire Preferred® Card , as well. To start, the card’s healthy signup bonus will give you a significant pile of points if you can meet the spending requirement. You’ll also earn 2X points per dollar on dining and travel purchases made with your card, including airline and hotel purchases, and 1X point per dollar on all other purchases. For an extra boost, adding an authorized user can net you a bonus of 5,000 points. As popular as its rewards program may be, though, it’s hardly the only benefit recommending the Chase Sapphire Preferred® Card . To begin with, the card itself is actually pretty cool, featuring a metal design that feels more substantial (read: fancy) than an ordinary plastic card. You can take your card on the road with ease, as well, because Chase Sapphire Preferred® Card users won’t be stuck paying any foreign transaction fees when traveling in foreign countries. Your Chase Sapphire Preferred® Card also comes with primary auto rental collision insurance when you pay with your card, protecting you against damage to a rental from collision or theft for most rental cars in the US and abroad. Cardholders pay less than $100 a year for all of the privileges that come with the card. That includes the perks associated with the Chase Sapphire Preferred® Card being a Chase credit card, such as 24/7 account access and well-rated customer service, as well as the benefits that come with being a Visa Signature card. In particular, travelers may enjoy the lost luggage reimbursement that comes with their Visa Signature card. For travel plans you’ve purchased with your Chase Sapphire, the lost luggage reimbursement can fill the gap between the value of your items and what the airline or other insurance policies will pay. The travel and emergency assistance may also come in handy, providing a variety of services, including medical referrals and emergency translation services. Find a little peace of mind at home, too, with warranty management. This perk lets you enjoy an extra year of protection on top of the manufacturer’s warranty on eligible warranties of three years or less, provided you purchased the product with your card. Given its Signature status and quality benefits, not everyone will qualify for the Chase Sapphire Preferred® Card . If you have any questions about whether you’ll be approved and don’t want to risk a hard credit pull on a maybe application, you can check for a pre-qualification offer instead. Resulting in a soft credit pull, pre-qualifying for a credit card doesn’t actually impact your credit score. You can check for Chase pre-approval offers in multiple ways, including online and at your local branch. You may also receive unsolicited pre-qualification offers in your email or mailbox, especially if you already have a Chase banking or credit account. 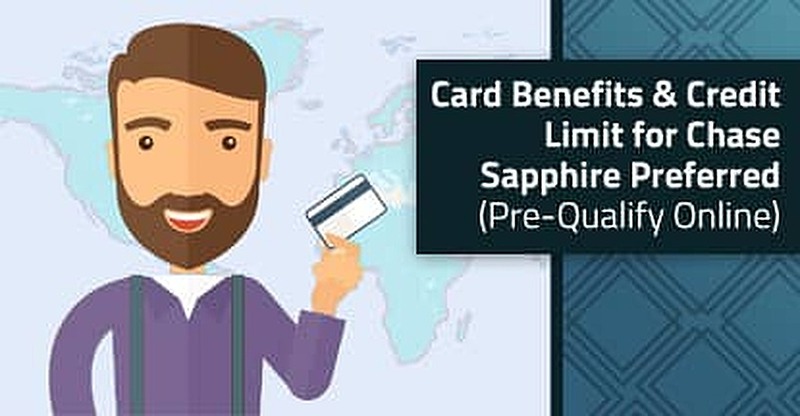 While being pre-qualified for a Chase Sapphire Preferred® Card doesn’t guarantee you’ll be approved if you apply, it can be a good indicator of your chances. Not pre-qualifying may mean you should re-think your application and address any potential issues in your credit report before you apply. Keep in mind that filling out a pre-qualification application will also act as consent to receive future offers. With its sleek metal finish, flexible rewards program, and wide range of travel perks, the Chase Sapphire Preferred® Card certainly does a good job of standing out from the crowd of 20-plus credit cards that call Chase home. In fact, the Chase Sapphire Preferred® Card stands out from the crowd of hundreds of credit cards to top many a list of must-have travel cards, and is a solid choice for the wallet of any cardholder on the go.